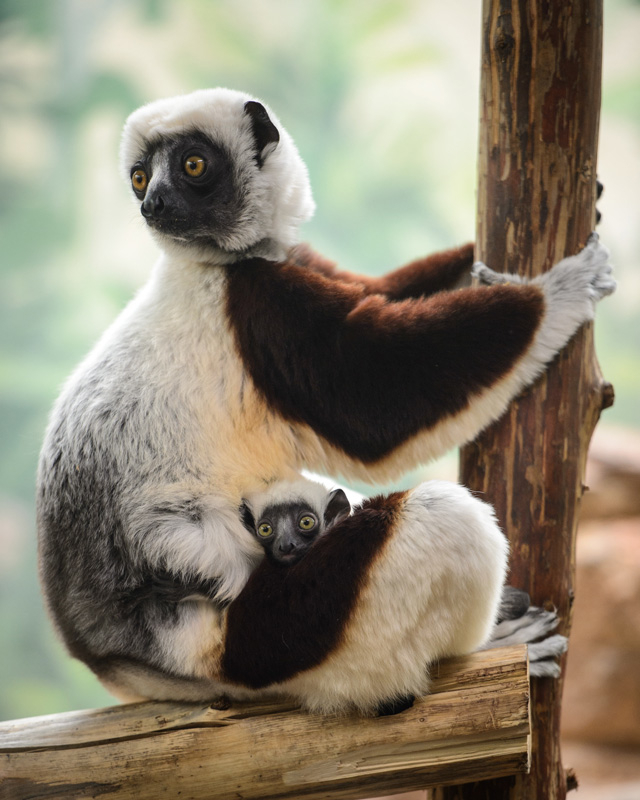 Congratulations are in order for Almirena and Caligula, both Coquerel’s Sifaka Lemurs, who welcomed their fourth offspring together at the St. Louis Zoo. The newborn’s name is Kapika or peanut in Malagasy, the native language of the lemurs’ natural habitat of Madagascar. Both parents are members of the Association of Zoos and Aquariums’ Coquerel’s Sifaka Species Survival Plan which works to maintain “a genetically healthy population” of Sifaka’s in North American zoos. The Association’s efforts are also important to sustaining the endangered population of Sifaka’s in general.